Why is lemon so helpful for improving focus? Lemon. Most of us think of it as an ingredient in salad dressing or cleaning products. Can it really help you to be more productive? In my experience, the answer is yes. Lemon helps with improving focus and concentration. Quite honestly, I also think that it wakes me up better than a morning cup of coffee (and I am a serious coffee and caffeine addict!). My favorite lemon drink recipe right now is: a glass of filtered water, with one or two drops of lemon essential oil (make sure you use a food grade quality essential oil like the oil made by Young Living or another food-grade oil distributor), and a squirt or two (or three, as I love lemon!) of lemon juice. I don’t squeeze my own lemons — don’t always have the time or energy for that — I just buy a lemon-shaped container of lemon juice at the grocery store and keep it close by. I don’t think that lemon juice requires refrigeration, so you cube warriors can, I believe, safely keep it at your desk, along with a tiny vial of lemon oil. You can stick with plain water and lemon juice, and skip the lemon oil, if you don’t have any around. But why does lemon improve focus? Why would it have any effect on your brain at all? Frankly, it’s hard to find a definitive answer to this question. According to a study I found summarized at the National Institutes of Health’s National Center for Complementary and Alternative Medicine (which is a very good site to know about, by the way, if you’re interested in checking out the scientific basis for herbal or alternative cures), lemon has been found to be a mood-enhancing stimulant. But that’s a pretty vague answer. At Herbs2000.com, I found another possibility, again rather vague: lemon improves circulation, which presumably would help the blood to carry glucose and oxygen to the brain more quickly. Similarly, Valerie Ann Worwood’s The Complete Book of Essential Oils & Aromatherapy (Novato, CA: New World Library, 1991), says that lemon oil is good for tension headaches — presumably, again, a function of improving circulation. We examined the anti-stress action of the essential oils of lavender, rose, and lemon using an elevated plus-maze task (EPM), a forced swimming task (FST), and an open field task (OFT) in mice. Lemon oil had the strongest anti-stress effect in all three behavioral tasks. We further investigated a regulatory mechanism of the lemon oil by pre-treatments with agonists or antagonists to benzodiazepine, 5-HT, DA, and adrenaline receptors by the EPM and the FST. 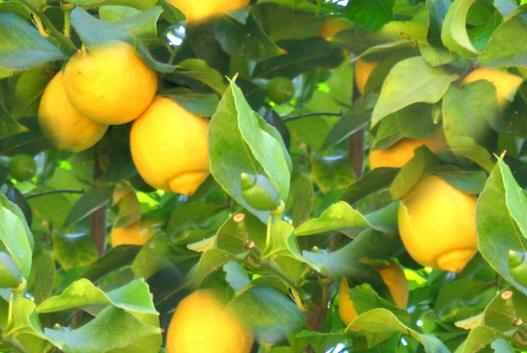 The anti-stress effect of lemon oil was significantly blocked by pre-treatment with frumazenil, benzodiazepine receptor antagonist, or apomorphine, a nonselective DA receptor agonist. In contrast, agonists or antagonists to the 5-HT receptor and the alpha-2 adrenaline receptor did not affect the anti-stress effect of lemon oil. Buspirone, DOI, and mianserine blocked the antidepressant-like effect of lemon oil in the FST, but WAY100,635 did not. These findings suggest that the antidepressant-like effect of lemon oil is closely related with the 5-HTnergic pathway, especially via 5-HT1A receptor. Moreover, the lemon oil significantly accelerated the metabolic turnover of DA in the hippocampus and of 5-HT in the prefrontal cortex and striatum. These results suggest that lemon oil possesses anxiolytic, antidepressant-like effects via the suppression of DA activity related to enhanced 5-HTnergic neurons. Looking further, I found another Japanese study, this one published in Nutritional Neuroscience (Feb-April 2006–guess there was a lot of interest in lemons in Japan that year!). This study explains that lemon oil has a strong effect on monoamine release from brain tissue — but the abstract doesn’t say whether lemon oil inhibited monoamine release or increased it. The former would make more sense, because according to the Mayo Clinic, many early antidepressant drugs were monoamine oxidase inhibitors. How would a natural antidepressant improve focus? Freeing the mind from depression and anxiety is bound to improve concentration, in my opinion. Whatever the reason, lemons are renowned for calming and focusing the mind not just in Western herbology but also in Chinese medicine. In Healing with Whole Foods: Asian Traditions and Modern Nutrition (Berkeley, CA: North Atlantic Books, 1993), Paul Pitchford explains that lemons calm and focus the mind — though he notes that mulberries are better for this purpose! But lemons are a bit easier to find at the supermarket. Previous What really stops you from being productive? This is great information. I’d like to know who the author of this article is so I can read more of his/her work.